This interactive presentation contains the latest gas production data from all 3196 horizontal wells in Louisiana, that started production since 2007, through April. Just over 2 months ago, in collaboration with ShaleCast, I published the first post on gas production data in the Haynesville play, Louisiana. This time, with 4 months extra production data, and from horizontal wells all over Louisiana, I can revisit that post. Furthermore, I now expect to be able to regularly posts updates on Louisiana, and will make the data available in the Get the Data page. With Louisiana included in my dataset, there are now 10 US states that I cover, including 9 out of the top 10 states based on recent horizontal drilling activity (only Oklahoma is still missing). As production from the Haynesville makes up almost all gas output in Louisiana, the changes compared with last time are minor. Still, by looking at the formations for example, you’ll see more details now, e.g. you can find that the production from the Cotton Valley formation is at a decent 2nd place. The Haynesville play extends into Texas, and gas production there was already covered in my previous US posts. 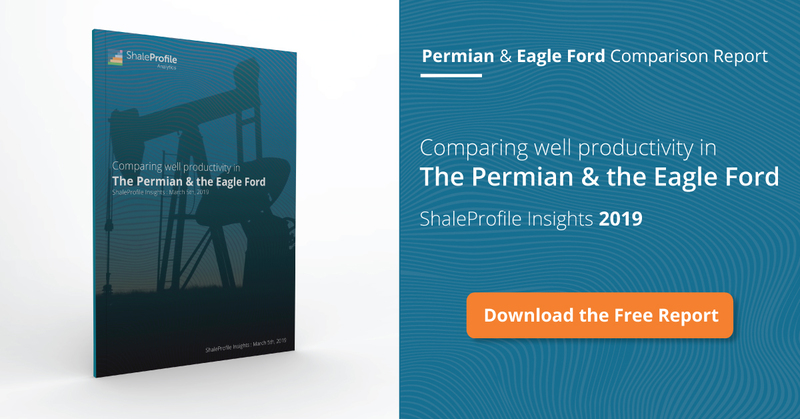 By selecting the “Haynesville” in the formation selections of those posts, you’ll find data on the performance of these wells on the Texas side. The production profiles shown on the 3rd tab are not much different than the previous post. As I filtered out some vertical wells, the average well performance is slightly better. The “Well status” tab shows the extraordinary rise in number of wells from 2009 till the end of 2011, after which drilling activity dropped by more than 2/3rd. Since then, completions have been at a slightly higher level, resulting in a steady decline in DUCs over time. This “Ultimate Return” overview shows the relationship between gas production rates, and cumulative gas production, averaged for all horizontal wells that started production in a certain quarter. You can see that in general well performance hasn’t changed much since 2010, although there have been 2 good quarters in 2016. Nevertheless, well designs have radically changed in recent years: the average lateral length is now about 6.5k feet (4.5k in 2010), while average proppant volumes are now at 17 million pound per well, double the amount just 3 years ago. The “Cumulative production ranking” tab ranks all these wells according to cumulative gas production. When you want to find individual well production in Louisiana, you’ll encounter a similar puzzle as Texas: production is reported by unit (which can contain 1, or more wells), and not by well. I’ve developed an advanced algorithm that takes results from semi-annual well tests into account when allocating this unit production over the wells on it. Because of this, I belief the results shown this time have improved in accuracy. You’ll find the detailed location of all these wells in the “Wells status map” tab; it shows nicely how almost all gas production here is located in the northwest. I would like to thank Bill Pittman for all his support in getting a better understanding of the detailed situation in Louisiana. On Thursday or Friday I’ll have another update on the Eagle Ford, followed by the Permian early next week. For those of you interested in the underlying data, I also plan to make available a far more extensive database with well, production, and completion data, in the coming 1-2 weeks. On a sad note: the website OilPro, which hosted the largest forum for professionals related to the oil & gas industry, is closing its doors this week. I have greatly benefited from the knowledge shared there, and the many interesting discussions & feedback I received on my posts. My gratitude goes to the OilPro team for this, and to everybody who contributed on it. I hope we’ll find a replacement somehow. Keep in touch in the meantime!